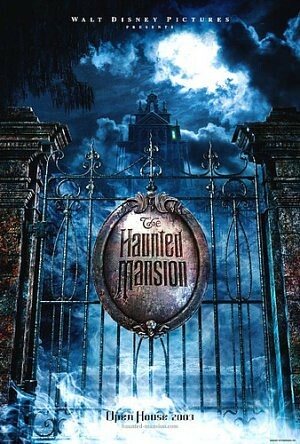 This year I hesitantly added Disney’s notorious “Haunted Mansion” movie from 2003 to our viewing list. 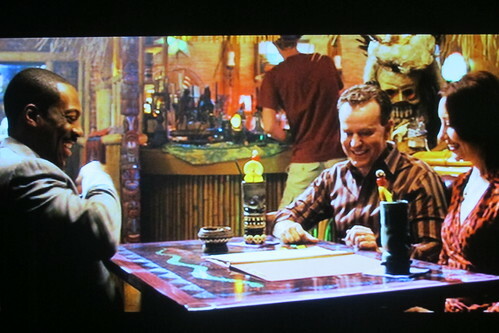 (It was not nearly as well-received as their other theme-park-attraction-turned-film from that year: “Pirates of the Caribbean.”) At any rate, I’m 10 years late to the party of discovering that there’s a tiki bar scene! 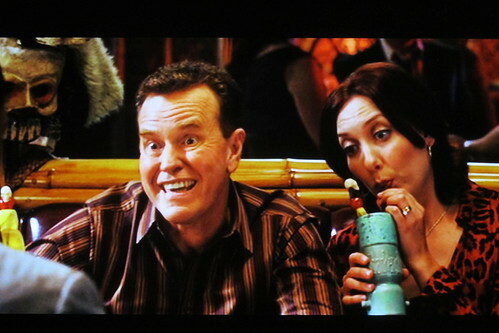 If you look carefully you may be able to spot the three hitchhiking ghosts from later in the movie. 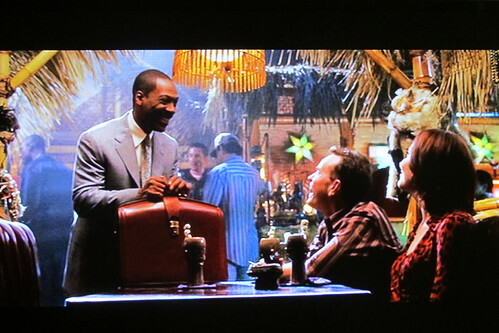 They’re among the Hawaiian-shirted extras in this scene, according to the commentary. 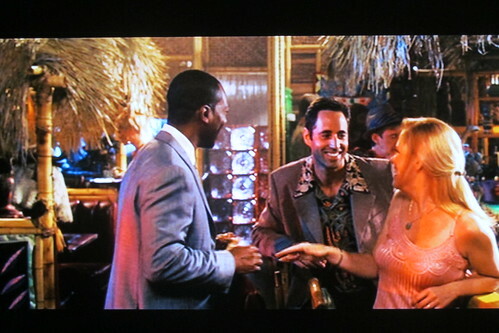 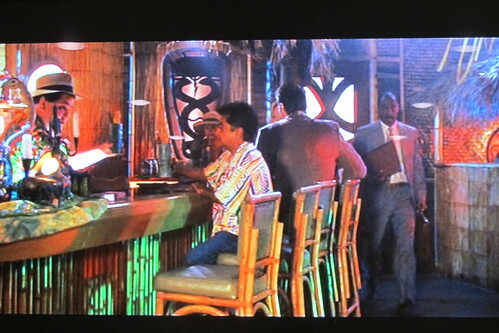 It’s been pointed out that it was especially appropriate for there to be a tiki bar at the beginning of the film because at Disneyland you walk by The Enchanted Tiki Room in Adventureland before you get to the Haunted Mansion in New Orleans Square. 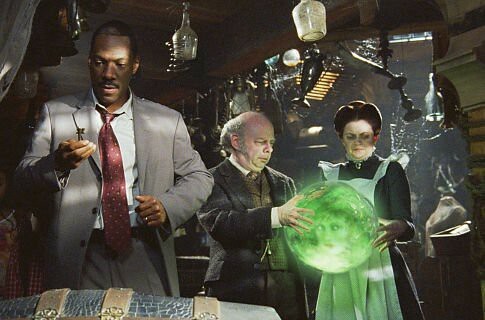 “The Haunted Mansion” had its share of groanworthy gags and jokes, but it wasn’t the abomination it was made out to be. 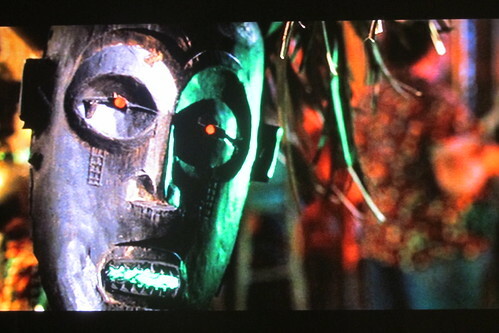 It’s probably worth watching once for the random tiki sighting, gorgeous mansion set and costume designs, and cameos by Wallace Shawn.